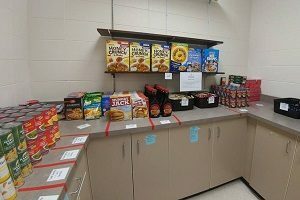 Our Food Pantry serves all residents within the Sauk Prairie School District that are in need of urgent food assistance. This includes the cities of Prairie du Sac, Sauk City, and Merrimac, WI. We are open at specific times through the month to help get families the food they need. Volunteers and donations are always needed and welcomed. 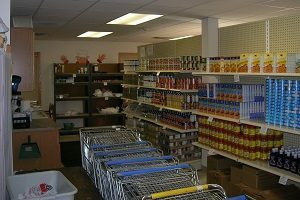 No matter your ability, schedule, or amount to give, we would love for you to Get Involved in our Food Pantry. We are very grateful for the support and commitment from our community over the years. It is this continuing support that has enabled us to grow, develop, and serve our area families in need. And we continue to grow to serve! We have officially moved to our new location at 821 Industry Rd, Sauk City. Many thanks go to our local 6:8 organization for raising the necessary funds to finish building renovations. Our new building allows us to offer more services and programs for our families. In case of an emergency requiring food resources, please call (608) 644-0504 and leave a message. Your call will be returned promptly. 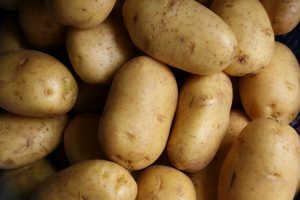 This recipe for Gourmet Potatoes makes a delicious, family-friendly side dish. It is also a great way to use up leftover baked potatoes or extra whipping cream.